How do you count listeners to my podcast? 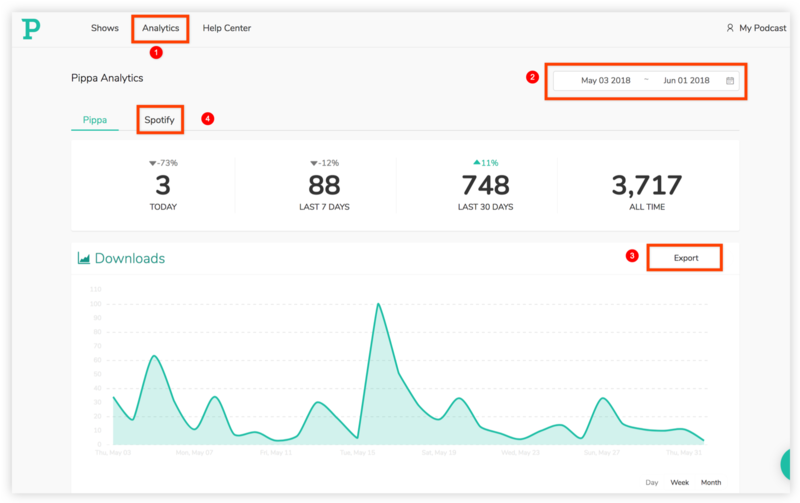 How to see and understand the analytics for your podcast. At Pippa, we take analytics very seriously, and we're committed to following best practices for accurate and transparent reporting. Beyond the simple pleasure of knowing that people are appreciating all the hard work and passion it takes to craft a top-notch show, analytics are an essential part of taking your show from a hobby to something much bigger. For more details on our methods, here's a document we produced explaining exactly how we track and measure your audience. Here's a screenshot of Pippa's dashboard below with some key points. You can access Pippa's Analytics dashboard by clicking the Analytics button in the top navigation bar. These download numbers include plays or streams from every podcast app, as well as whenever your episode is embedded and played on a website. If your podcast is on Spotify, Pippa displays your Spotify stats in the second tab. How long do people listen to my podcast? Only the individual podcast player apps have access to information about how long people listen to each podcast. Since they don't share this information with anybody, it is impossible to know how long people listen to each podcast.